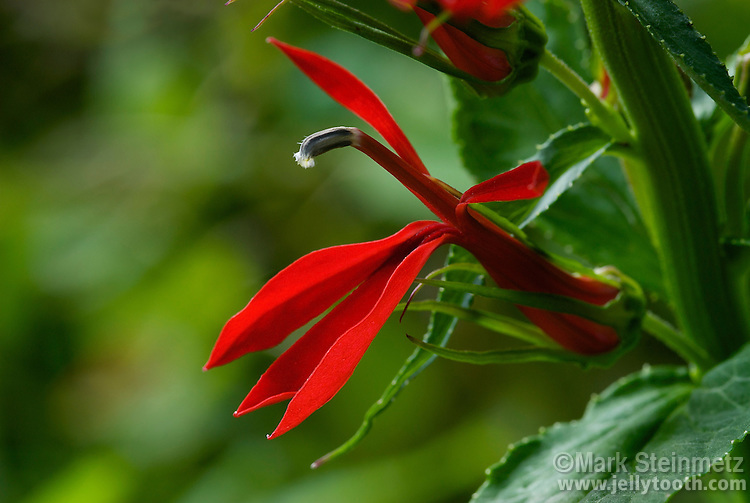 Close up of Cardinal Flower (Lobelia cardinalis). Common name believed to have come from the bright red robes and caps worn by Roman Catholic Cardinals. Wildflower is native to North America. A favorite of hummingbirds and many butterflies. Ohio, USA.